What marks the beginning of filing income tax return is issuance of ITR forms by the tax department. ITR forms are issued yearly for respective assessment years. The fiscal year 2017-18 has recently been closed, the return for which will be filed till 31st July or 30th Sep 2018. These due dates are the last dates to file return of income. In case you love to be proactive, returns can be filed soon after 1st April following the FY. (provided tax department has released the ITR forms). It’s time to cherish because this year you can start filing your taxes now as ITR forms for AY 2018-19 (FY 2017-18) are already out by the department. AY 2017-18 witnessed a tremendous change in ITR forms, many ITR forms like ITR 2A, ITR 4S etc were merged and abolished into the existing. From this context ITR forms issued for AY 2018-19 have been in conformity with the last year. This ITR form as the name suggest is the easiest to fill amongst all. But only residents other than NOR having income from salary, one house property, income from other sources can only opt to file return through ITR 1. The maximum income which can be declared through this form is restricted to Rs 50 lakhs. It is selected by individual and HUF tax files who do not have income from business or profession. This form is sequential to one mentioned above i.e. ITR 3 is used for income disclosure by individuals and HUFs who have income from business or profession. ITR 4 stands out the list of ITR forms. 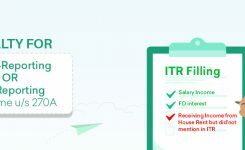 It together with ITR 1 are the only two options available to users for on the go filing via income tax efiling website directly. People opting for disclosure on basis of presumptive income under section 44AD need to report their income tax return in this form. Companies file their income tax return in ITR form 6. All companies except trusts exempted under section 11 of The Income Tax Act have to choose ITR 6 for disclosing income earned during the relevant financial year. Those required to furnish ITR as per provisions of section 139 (4A), 139 (4B), 139 (4C), 139 (4D), 139 (4E), 139 (4F) including companies, should file ITR 7 with the income tax department. ITR forms for AY 2018-19 (FY 2017-18) will be used by all of us to declare our income earned during 1st April 2017- 31st March 2018. You can download the forms from the income tax department official portal to proceed with paper filing of ITR. Or can make a smart move and file online. Online filing can be done self or in the easiest way through expert e-CA of third party softwares like Tax2win!! While filing with tax2win you need not invest energies on which ITR forms to select, we do it for you automatically!! I am a Govt. employee and facing some difficulty in filing new itr1(sahaj). 1) My salary break up is Basic Pay, Non-Practicing Pay( It is for all practical purposes considered as Basic Pay…..like calculation of DA,HRA etc. ), DA, HRA, I.R. (Interim Relief). All my pay and allowances are taxable. What will be the salary break up for PartB1 (1) Salary and PartB1(2) Allowances not exempt in my case? 2) Regarding Schedule TDS…..I have declared income from other sources apart from my salary to my deductor. After adding both salary and income from other sources I arrive at Gross Total Income and allowing deduction under chapter 6A, I arrive at Total Taxable Income and tax has been deducted at source accordingly. Now what should I fill in column (3)i.e. Amount which is subject to tax deduction of schedule TDS? Is it only Salary income or Gross Total Income or Total taxable income? In column (4)i.e. year of tax deduction of schedule TDS what should I fill as tax has been deducted every month during FY 2017-18. We appreciate your query. Thanks for writing to us. In the latest ITR Form 1 (Sahaj) for F.Y 17-18, the salary information has been asked in detail, therefore, needs to be placed carefully. In the first column i.e. Part B1 (i), the total basic salary needs to be entered and in Part B1 (ii) all the allowances which are not exempt are to be included. So, in your case, the basic salary and Non-Practicing Pay (as it forms part of basic salary) can be included in the first column and all taxable allowances like DA, HRA etc. are to be included in the second column. Additionally, In regard to the TDS schedule, you need to enter your taxable salary income in Schedule TDS 1 in column (3) i.e. Amount which is subject to the tax deduction and if TDS has been deducted from income other than salary i.e. apart from sec 192, then you need to enter the details in TDS 2 schedule. 2. Further, In column (4) i.e. 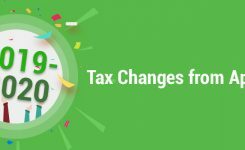 year of tax deduction of TDS schedule you should fill as 2017 if it pertains to the FY 2017-18. Many thanks ,Sir, for your prompt reply. It’s really very helpful. Now one more query…..in my case my deductor has deducted tax on salary income+ savings bank interest (i.e. income from other sources). Taxable total income is calculated after allowing deductions under chapter 6A. So, should I put the “taxable total income” in column (3) of TDS schedule? Is it at all an “Income” in my hand ? How to disclose this in my ITR? Which ITR I should use to disclose this? Thanks for writing back to us. Your query is worth appreciating. 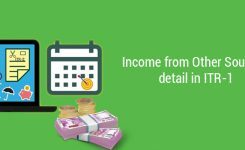 In the TDS Schedule1 (Column 3) of the latest ITR 1 form, the income chargeable under the head salaries is to be mentioned. Therefore, in your case also, you need to mention only your salary income in the third column of the TDS Schedule. Additionally, the other incomes on which TDS is deducted by the person other then employer, if any, are to be mentioned in the Schedule 2 of TDS. Further, for customized opinion and safe tax planning, you can connect with us at [email protected] or at +09660996655. As per Income Tax Law, if we receive gifts (monetary or non-monetary) from the persons covered under the definition of “Relative” then such gift is exempt, irrespective of its value.However, for the purpose of reporting, such exempt income is to be shown in your ITR.Therefore, in your case, the cheque received from your mother is not taxable in your hand. Additionally, it is your exempt income which you should disclose in your ITR as Gift from relative.It can be disclosed in any ITR form, whichever is applicable to you depending upon your other income. My deductor ( Employer) has deducted tax from my salary both on the “taxable salary income” as well as “other sources” taken together i.e. “taxable total income”. So in my case there is only one deductor i.e. my Employer. The form 16 issued by my deductor also reflects that. Then what is to be written in column 3 of TDS schedule? I am a govt. employee and a senior citizen. I want to deduct tax solely on my salary income by my deductor for the FY 2018-19. I intend to show the interest income in the itr1 and pay self assessment tax/advance tax as applicable after deduction of Rs. 50000 under 80TTB. My question is……in that case the form 16 issued by my employer will not show the deduction under 80TTB. 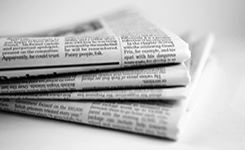 Can I claim that deduction in my ITR1? Is there any problem of mismatch between form 16 and itr1? According to the Income Tax Act, even if any income or any deduction is not reported to the employer and thereby not reflect in your Form 16 still you can include it in your return while filing it. Therefore, in your case, for F.Y 17-18, you can include your interest income directly in your ITR. But then you may have to pay interest on the tax amount(if any) while filing the ITR. In such a case, there will be no problem of the mismatch as you are showing the extra income in ITR as compare to the Form-16. For customized opinion and safe tax planning, you can connect with us at [email protected] or at +09660996655. 1 Whether this NPS contribution made by the employer should also be included in the income by the employer while filing form 24Q. According to the Income Tax Act, NPS contribution by the employer is not required to be shown separately in the income which is to be reported by the employer in form 24Q. However, if it is included in the salary, then you can avail the deduction u/s 80CCD(2). Further, while filling ITR1, if NPS contribution by the employer is included in salary then you can avail the benefit u/s 80CCD(2), otherwise not. Additionally, for customised opinion and safe tax planning, you can connect with us at [email protected] or at +09660996655. 1. which itr form he has to fill? Is it necessary to fill ITR? 2. where to show gift and interest earned? 3. what are tax implications for me? Gift amount received from relative is exempt from tax. Father and Son covered under the definition of Relative. Therefore, it is exempt in the hands of the father. Interest on SB account is not taxable as deduction available as per section 80TTA upto Rs. 10,000. In case of only saving bank interest income and exempt gift income, ITR – 1 can be filed. It is not mandatory to file the return as income is below exemption limit. However, it is recommended to file the return duly showing the Gift Amount and Interest income. Gift income to be shown under exempt income and interest income to be shown under Other Sources Income head. As Gift income from the relative is exempt, therefore no tax implication will be there in your father’s hand. For customised opinion and safe tax planning, you can connect with us at [email protected] or at +09660996655. please mention distinctly for all the elements with respect to ITR-1. 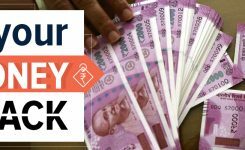 In the latest ITR Form 1 (Sahaj) for F.Y 17-18 [AY 2018-19], the salary information has been asked in detail, therefore, needs to be placed carefully. In the first column i.e. Part B1 (i), the total basic salary needs to be entered and in Part B1 i.e. Salary excluding all allowances, perquisites and profit in lieu of salary. Part B1 (ii)- all the allowances which are not exempt are to be included. Part B1 (iii) – Value of perquisites. Part B1 – (iv) Profit in lieu of salary. So, in your case, as per our view the basic salary will go in column (i), all taxable allowances like DA, HRA, Medical Allowances etc. are to be included in the column (ii), Bonus and Arrear will go in column (i). For customized opinion and safe tax planning, you can connect with us at [email protected] or at +09660996655.